Vinpocetine is a compound synthesized in the late 1960s from the alkaloid vincamine, found in the leaf of the periwinkle plant (vinca minor). Vinpocetine is now widely used Japan, Hungary, Germany, Poland, and Russia for its cerebrovascular and neuroprotective effects. Vinpocetine contains numerous mechanisms of action that give vinpocetine its anti-oxidant, vasodilating, and neuroprotective effects. 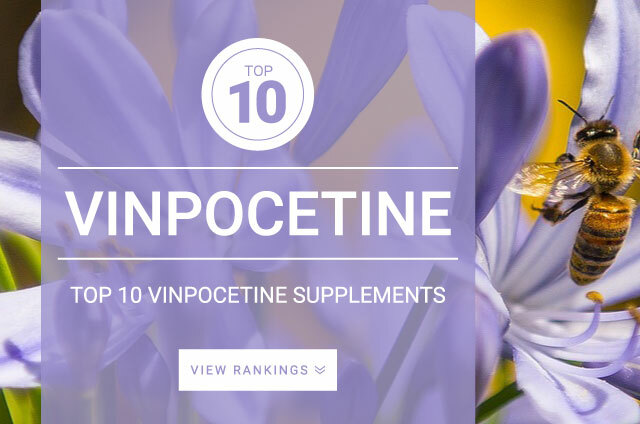 Vinpocentine has numerous supplementation purposes including improvement of cognitive function, increased energy, enhancement in focus and visual acuity, prevention of motion sickness, reduces mental fatigue, and improve dementia symptoms. May help with subsequent hearing loss and tinnitus. Known as a nootropic for its memory formation activities. You should supplement Vinpocetine with food. Research shows that when taken on an empty stomach abosption rate is around 6.7%, when taken with food, absoportion increases 60%-100%. Standard daily dose of vinpocetine : 10 mg – 20 mg three times per day with meals.